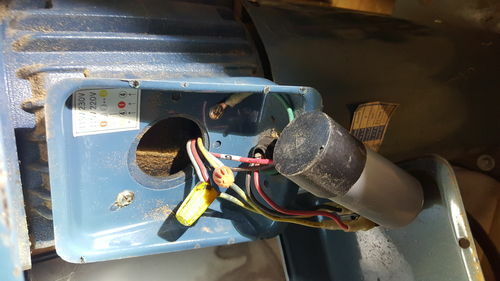 Would anyone by chance have a copy of the manual for the Reliant NN-720 1HP dust collector? I recently pick up with unit which is wired for 230. I would prefer to change it to 115 (110) since it would be more convenient to plug it in in different locations in my shop. 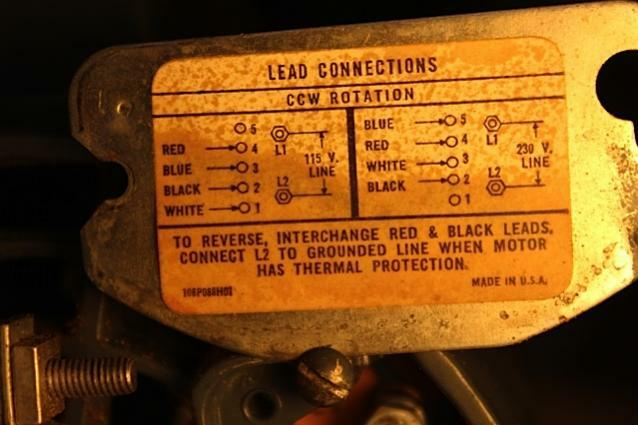 If anyone have a copy of the manual on the re-wiring of the unit it would help me out a lot. There may be a wiring diagram on the motor plate. Have you checked there? Sometimes inside the tap cover as well. I will admit. I am not that savvy on electrical work. Here is a pic of the inside panel. It does not make much sense to me. You are going to have to get a better picture than that if you want anyone to help. A better lit, better angle, higher reduction picture of that sticker will tell us enough to get it done.